Hi guys! We’ve just returned from a two week trip to Disney! 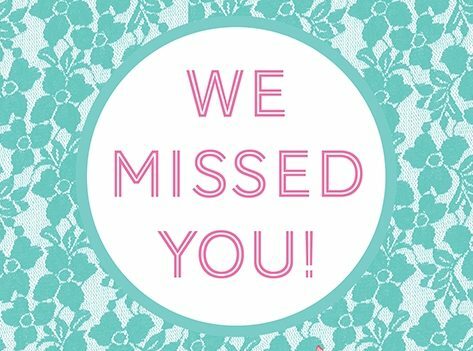 Did you miss us? All I know is it is sure good to be back! We had loads of fun, and there was tons to see, but nothing beats home! I was hoping to find a Disney Animator doll while we were there to add to our collection, but they were only selling ones that we already had multiples of. 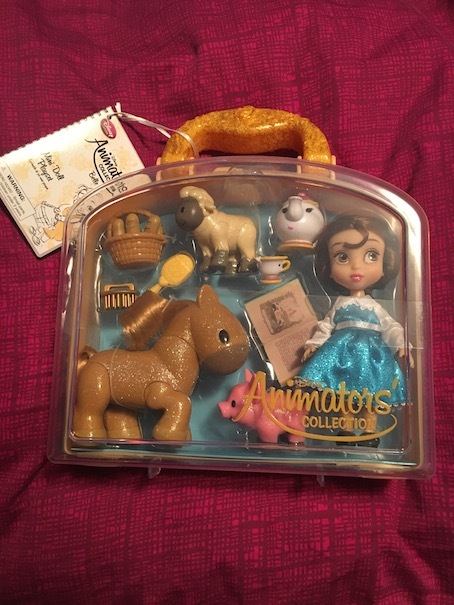 Oh well, we did purchase a mini Belle Animator set. We’ve been finding these cuties lately in the thrift shops, so we were happy to purchase her to add to our collection. We’ve been quite lucky in our doll thrifting lately, which brings me to today’s post. 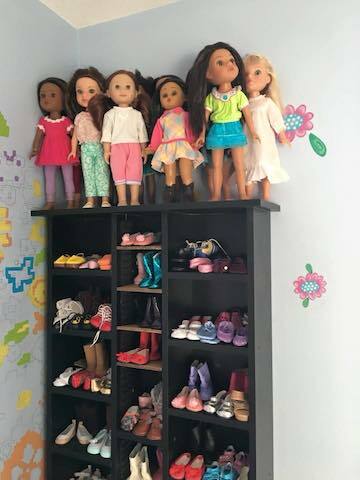 How to store all of the beloved dolls that we’ve been finding??? 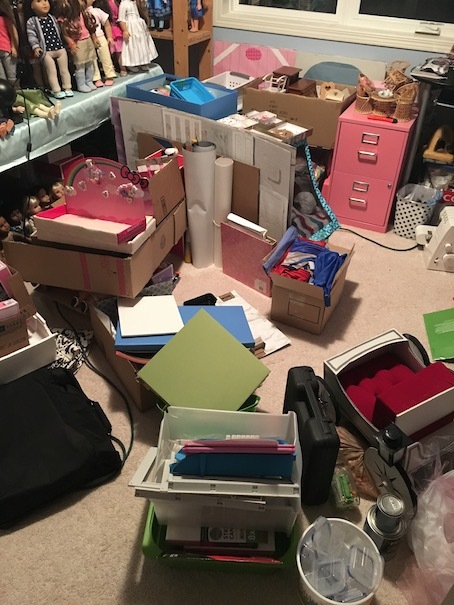 I have been on a quest lately to reorganize our craft room, and it is finally coming to an end. My days of tripping over multiple dolls and doll accessories are over! I have finally wrangled everything, put it into labelled boxes, and stored it safely away where I can freely have easy access to it anytime! 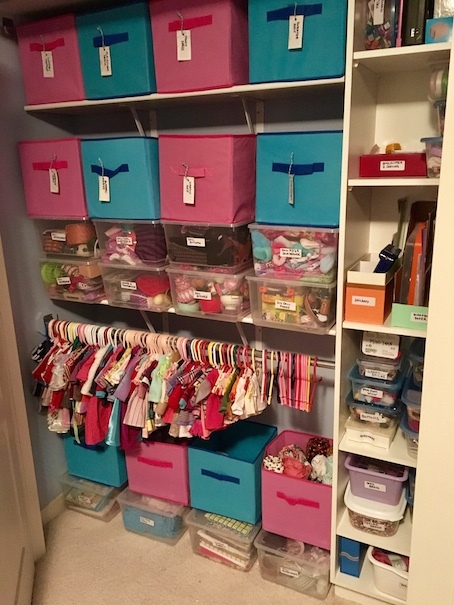 That’s saying something because never have I been so organized!! LOL! 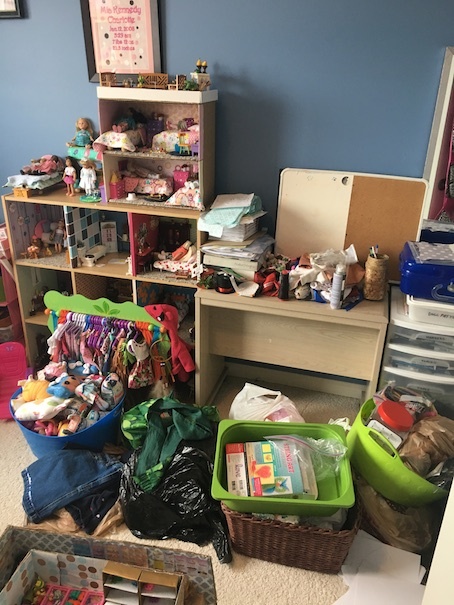 What started as a complete disaster area that I would sit in the middle of, and sometimes cry with despair over, has finally become the craft/photo studio/doll storage/office/sewing supplies room that I have always dreamed about. Okay, maybe it’s not my greatest vision for the dream craft room, but that would probably include adding a whole other house onto my existing house, and that isn’t happening. LOL! Essentially, I am just working with what I already have. Anyway, like I said, my Before was a nightmare so don’t judge me. LOL! Honestly, I wouldn’t even post it if the After pics weren’t so much better. After. There are still a few more things to tidy, but things were coming along nicely. 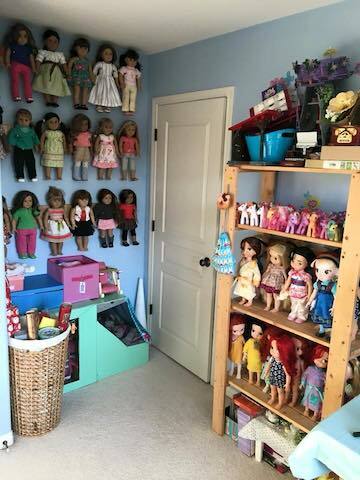 This was my doll situation before! Can somebody say 911?!! It’s a doll emergency! After. Oh thank heavens. LOL! 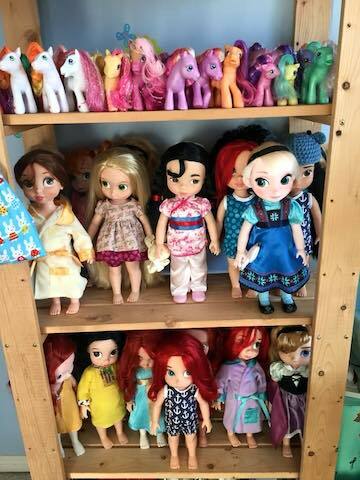 Most of these Disney Animator dolls were thrifted, and are still in need of some TLC. 🙂 I am still debating if this is the best spot for our Hearts for Hearts girls. I might hang them the same way we did our American Girls. These girls are also thrift store finds, and are going to need some TLC. 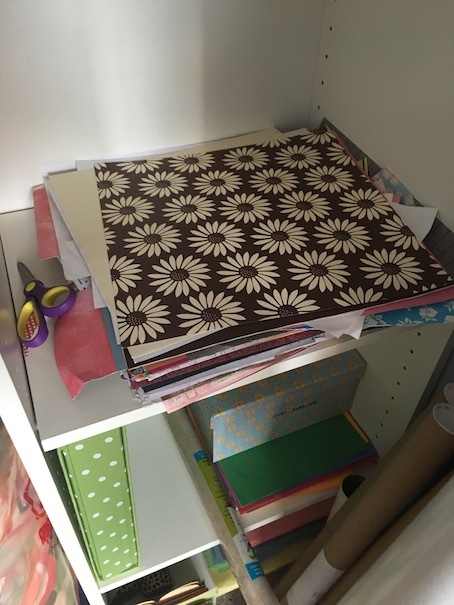 The first order of business was my scrapbook paper pile. This is what it looked like before. 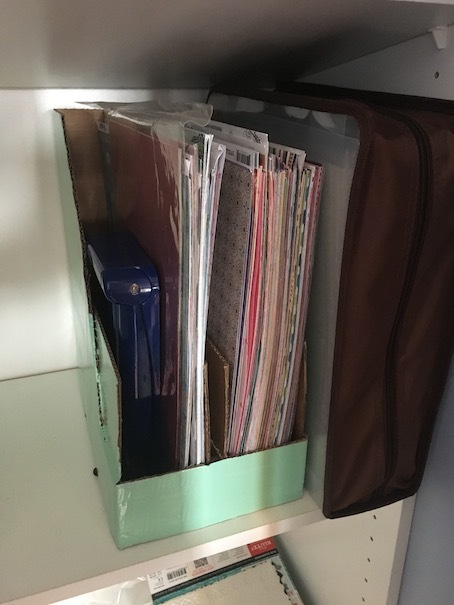 I wanted something sturdy to hold it all, but the organizer that I had found on Amazon was quite expensive. I came up with this instead. 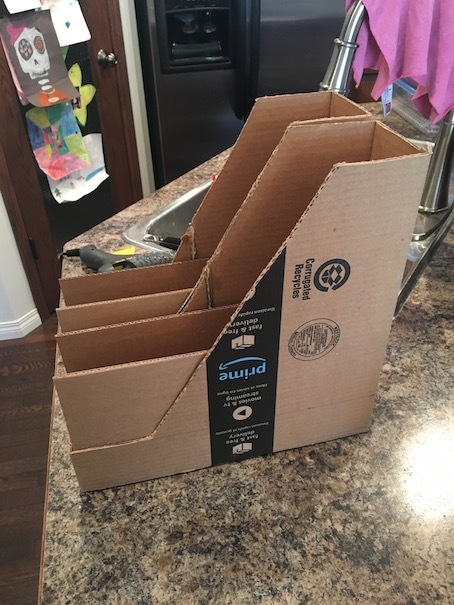 It’s just a shipping box that I cut in half, and then hot glued the two halves together. 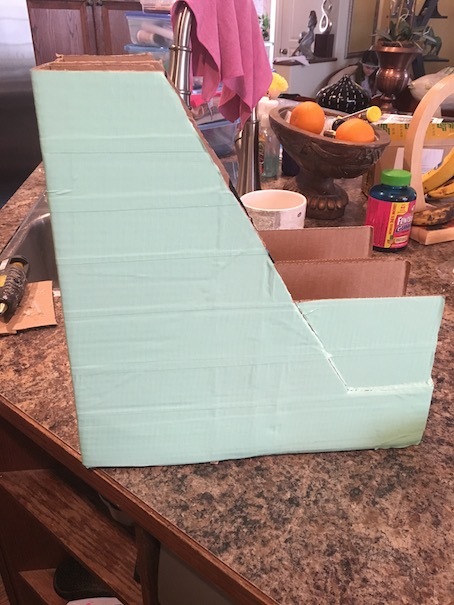 Once I had the shape I wanted, I used duct tape to make it pretty. Tada! So pretty. So cheap. LOL! Next for the craft closet, I wanted to organize everything into labelled bins for easy access, so I headed to the dollar store. I bought a bunch of large plastic buckets, some fabric bins and some ziploc containers. I added some shelves in the closet as well. Okay, here is another before. 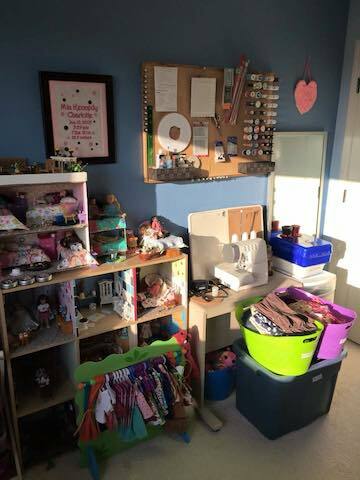 This is my sewing corner. Yikes. 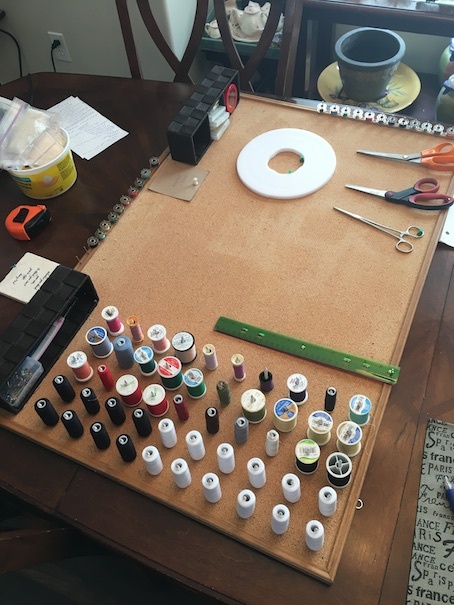 I usually keep my sewing machine on the kitchen table downstairs, but this is a disaster. I set to work to try to Pinterest a sewing board. 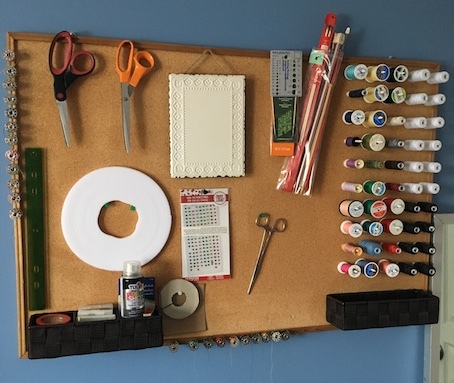 I had an old bulletin board, and I just glued some golf tees to it for thread holders. I also added baskets on the bottom, and some finishing nails on the sides to hold bobbins and other things. It’s not perfect, but it does the trick. Here is the after shot. I’m going to paint a crafty quote on that hanging plaque. 🙂 And a couple of other After pics. Now I can keep my serger on my sewing table. Hooray! 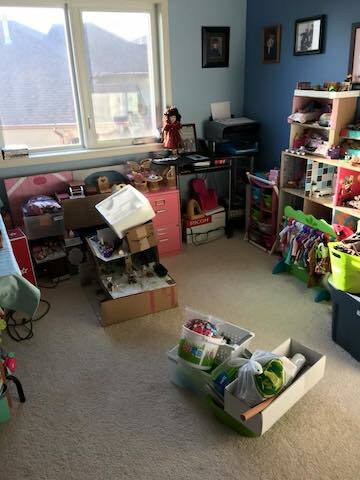 There are still a few things that I want to do in this room organization wise, but it is a far cry from what it was for sure! The other corner is my computer corner although I don’t often write in this room. 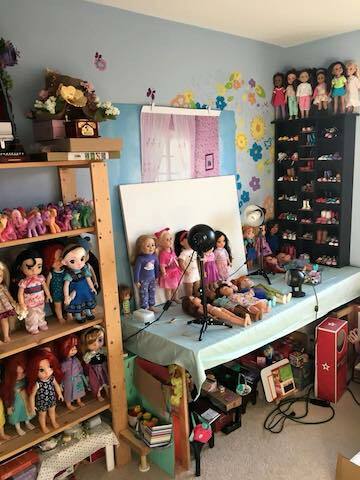 You can also see the mini doll mansion in the middle there. We still have more work that we would like to do for the minis as well. Lastly is my photo space. Right now I am working on the lighting in this area. 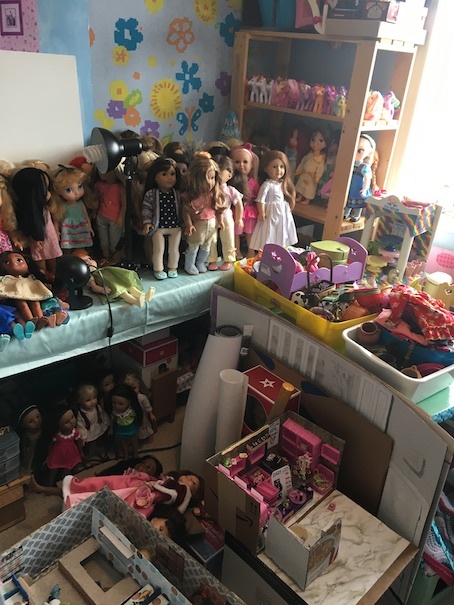 I will eventually be building some more doll room boxes so that we can move the doll classroom out from under that table as well. Everything in good time of course. So there you have it! It’s a wee tiny room, but somehow we have managed to make it multi purpose. 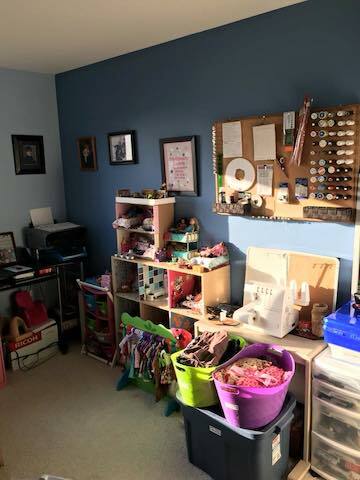 We now have a computer/sewing/crafting/photo studio/doll storage space! I have also discovered a more efficient blogging method so stay tuned as we will be blogging more often from now on! Before it was such a hassle to get anything posted so this is definitely good news. Anyway, thanks for joining us today! I hope that you enjoyed seeing pics of our new space. We are sure enjoying it! Everything looks great!! Disneyworld or Disneyland? Thank you!! 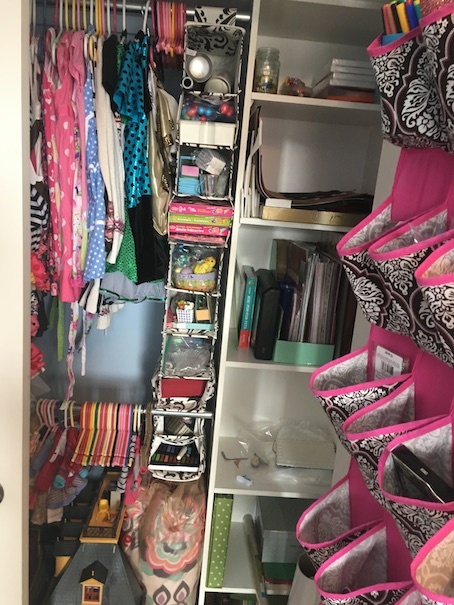 🙂 We have a storage shelf in the basement for doll clothes with bins labelled shirts, pants, pajamas etc, but I like hanging up the pretty dresses, so they don’t get all tangled up and the velcro doesn’t snag the fancy fabrics. I also have a few of the historical doll clothing items in my craft closet because my daughter and her friends don’t really bother with the historicals much so I put them away to make room for all the more modern doll clothes I made for Christmas.